Pop punk can be a generic genre filled with copycats that want to sound like the next Blink 182 or Fall Out Boy, filled with the same chord progressions and band members who look too perfect to call themselves punk rockers. 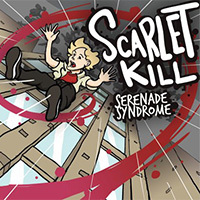 However, Scarlet Kill, an up-and-coming band of teenagers from Gold Coast, Queensland Australia don’t sound like the next Blink 182. Their debut EP Serenade Syndrome is comprised of six songs that compare favorably to Fall Out Boy’s first album Take This To Your Grave—tight guitar licks, solid drumming, great vocals. While Take This… was a good start for Fall Out Boy as a new band, it lacked the variety that would come through on subsequent records. With some simiarities to F.O.B., band members Will, Matt, Bryce, and Mitchell all play very well for their ages, ranging from 15-17. The record’s lead single “Just One Dance” opens the EP, and if you didn’t know how young the members were you would think they are much older. Will, the band’s guitarist and singer, and Mitchell on lead guitar, play guitar riffs that have all of the elements of pop punk—playing fast, while mixing up the time signatures to give the song some compelling variation. Much like their young pop-punk predecessors, Scarlett Kill has not quite found the identity and creativity needed to make them stand out worldwide. Yet they seem to be following the same paths their influences followed, and if that holds true their next release will have the growth and maturity that is needed, and they'll be on their way to becoming a great band...and not merely a great teen band.